Franchises are top-heavy with management and charge 6 percent off the top to support them. Our group attained the No. 1 position in the county within three years or our genesis. Most of us have been in the business for many years. We make our decisions locally and efficiently without delays or politics. It helps. We are also able to focus on our agents better. Their productivity, profit and quality of life is our primary concern. The better they do, the better our company does. We opened in the latter part of 2005. Our group had been “flipped” three times in the prior six years, and each time we had a larger and more bloated company to work with. Since our original group already dominated the local market, it made more sense to go out on our own. Most agents know the difficulty of changing companies. We wanted continuity and control. Why did you think it was the right move for you? The market was very strong in 2005. We had the means and the desire to run our own business. Considering the crash of 2007 and the oil spill in 2010, our timing was outstanding! It is expensive to grow a company. Since the real estate market got so depressed in 2007, it was difficult to know when to invest in more growth. We continued to do so and have grown to 80 agents and four offices. What is your approximate agent-to-staff ratio? We have 80 agents and six staff members. Yes, Leading Real Estate Companies of the World. 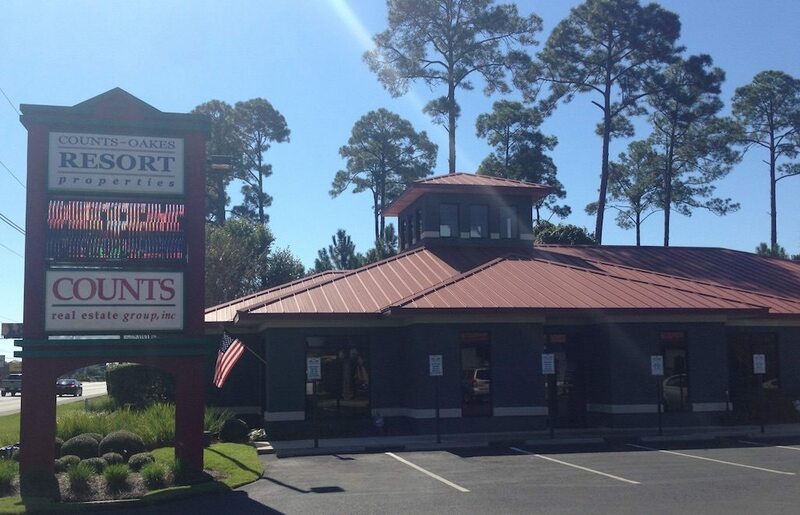 Our main office is a freestanding building on Thomas Drive on the east end of Panama City Beach. We have stained concrete floors and high-end furnishings. Each office has a conference room complete with wide-screen HDTV monitors, high-speed Internet, computers for presentations to customers or agents, and an abundance of training material for new agents. Our meetings and training sessions are broadcast to each office. We have one office on the east side of the bridge bordering Lynn Haven, but in Panama City. Our third office is on the west end of Panama City Beach, and our fourth and newest office is on Highway 30-A in Santa Rosa Beach. The 30-A office actually expands us into Walton County. The perimeters of each office are lined with private agent offices. The interiors are general sales areas with desks and phones for newer agents. We also provide kitchen facilities and even a gas barbeque with picnic tables. We go for a mix that promotes agent contact with one another and focuses on teamwork, thus blending the newer agents with the more experienced. This is a never-ending task. We market agents with email, snail mail, video testimonials from our agents, social media and socializing. We also compensate our agents with recruiting bonuses. Steve Counts: Recruiting agents is a never-ending task. Everywhere we can. We use email blasts, newspaper advertising, brochures, social media, billboards, television commercials and extensive signage throughout our area. We have a large and lavish Christmas party every year, usually held at our home. Most of our agents know a lot about cooking (and eating), so we have the party catered by local chefs who put on terrific presentations of delicious food. Being on the Gulf Coast, we generally have seafood dishes galore and the finest cuts of meat. Our separate offices often combine meetings, with everybody bringing a dish and eating together. Describe your digital presence. Do you have a website? What publishing platform do you use? Are you active on social media? Which channels? Yes, we have a website. In fact, we are on our fourth edition since we continually update it. We utilize the homes.com platform to be competitive in one of the big four online real estate markets and have listings through Zillow, as well. We are also very active with Facebook, Twitter, Pinterest, YouTube and Google Plus, and we distribute property listings and visual tours though those digital avenues. The biggest advantage to not being franchised is our ability to dedicate at least 6 percent more money to advertising dollars. All our agents benefit from it. Another important advantage, as I mentioned earlier, is we are much more agile in the real estate climate. We can react to our market circumstances quickly. The biggest challenge is that we are the absolute bottom line. We sink or swim by the accuracy of our business decisions, our hard work and the quality of our agents. Steve Counts: Our philosophy commits us to focusing on agent profitability. This has a strong “focusing” effect. Our philosophy commits us to focusing on agent profitability. We use broker support, extensive training, goal-setting, excellent support staff, and the latest technological innovations and tools. All of this is offered at no expense to the agents. It is trite to say “professionalism,” but it is the case with Counts Real Estate Group. We hire pros and provide an enormous amount of tools for them. Our newer agents are held to production standards that benefit them and the company. Our commercial agents are the most productive and most knowledgeable in the area. We focus on compliance, education and active cooperation between our agents. We compete together as a family, which means we motivate and help each other strive to always reach the next level. Our entire focus is on our agent and providing them with an atmosphere under which they can succeed. I believe this truly separates us from the crowd. What is the biggest business improvement you made last year? What’s the biggest improvement you have planned for this year? Last year, we hired a full-time IT person. He keeps us on the cutting edge of today’s technology and trains us on how to best use it all. This year, we have purchased the location for our 30-A office and are in the process of building it out so that it meets our company’s standards. It will be the most high-tech office in the area with luxurious and large offices for agents who do business with this upscale market.